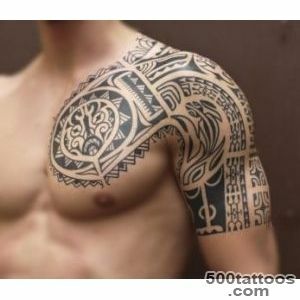 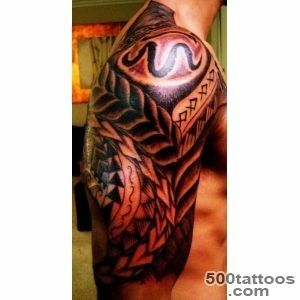 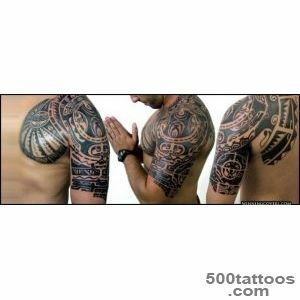 In the world of tattoo art there is a whole new trend - Ethnic Tattoo ( Celtic, Slavic , Maori and, of course , Indian tattoo ) . 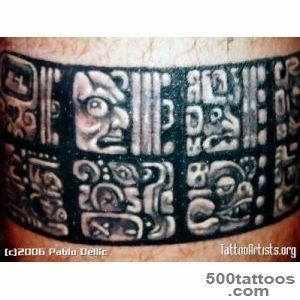 When it comes to Native American tattoos , it refers primarily to the Mayan style tattoos . 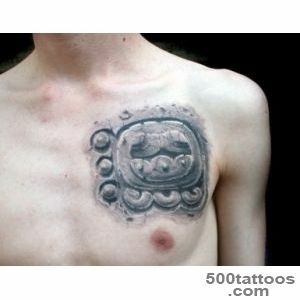 Tattoos in Mayan style is rather difficult to do - and it is not about the performance issue ,but the semantic load of tattoos . 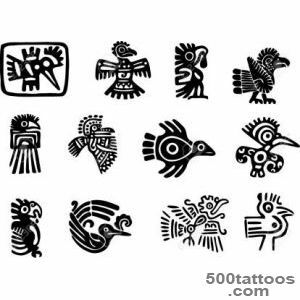 Until modern times came just a few examples of the Mayan text and visual arts of the people (as we know , a large part of the cultural heritage has been lost ; ethnographers scientists still conduct research in this area) . 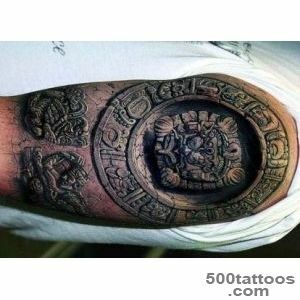 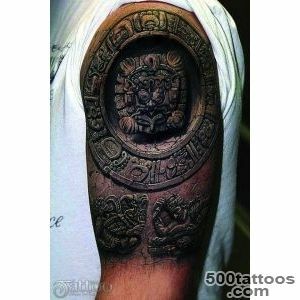 Mayans were unsurpassed warsso that the tattoos were they to refer to military prowess and feats of arms ( the most courageous war were covered with tattoos in full) . 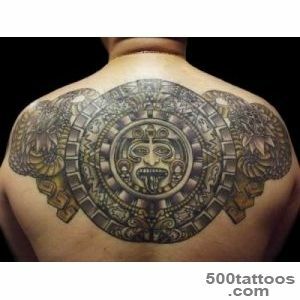 In the Mayan deity was Akat , it is responsible for the tattooed body painting . 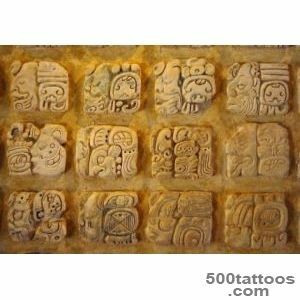 Meaning of tattoos Mayan-style shows in the first place about the human interest in this ancient civilization , their rich culture .To say that anyone who paid a tattoo in the Mayan style , wants to tell the world about his military exploits , it would be wrong . 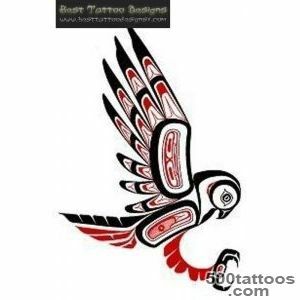 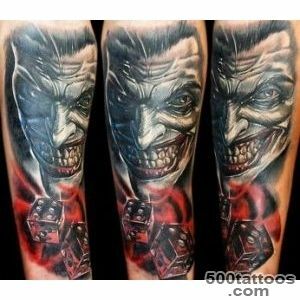 And at the same time aggressive enough semantic load of tattoos is clear to all , and it does not have to be an expert on Native American tattoos . 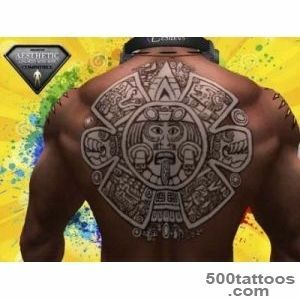 Often confused tattoos Mayan style and Aztec tattoo style.Their fundamental difference : the Aztecs made ​​mainly tattoos of religious values ​​and the Maya - the military . 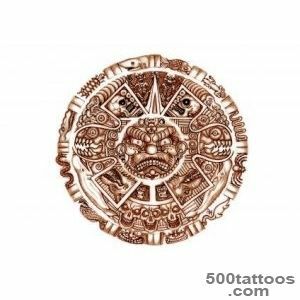 If you meet with a portfolio of well-known tattoo artists performing tattoos in the Mayan style , you'll notice that many of the sketches depict the eagle and the Mayan pyramid . 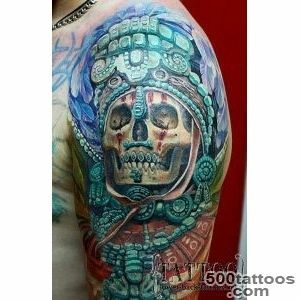 Thanks to the art of cinema ,in the style of tattoos Mayan there is another recognizable image - crystal skulls , one of the oldest artifacts of a vanished civilization . 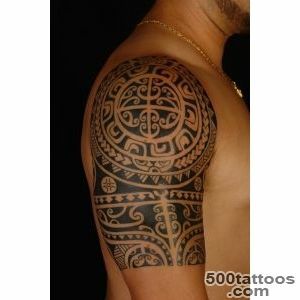 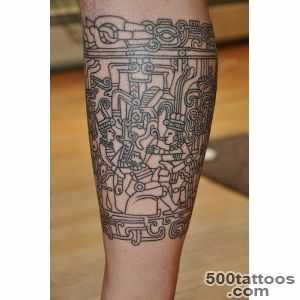 Another popular topic of sketches tattoo - it is the font of the Maya . 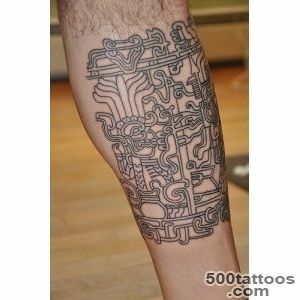 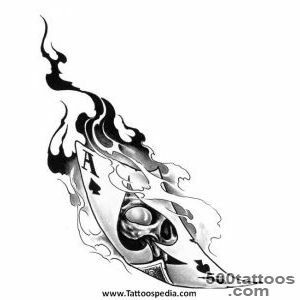 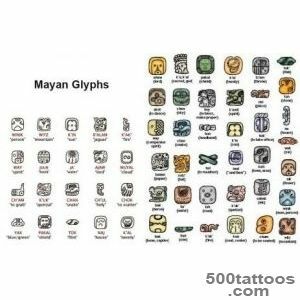 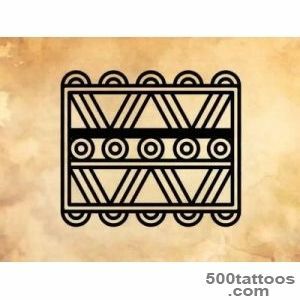 The font looks like an infinite number of fine lines , so that by the tattoo master requires special skills when the font image .Photos of tattoos Mayan recognizable : black graphic quality line , a lot of small details in the exact plotting . 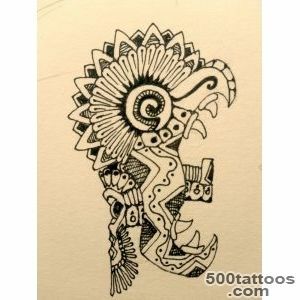 Quite often depicted totemic animals . 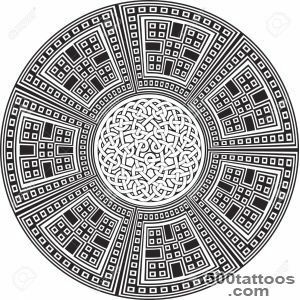 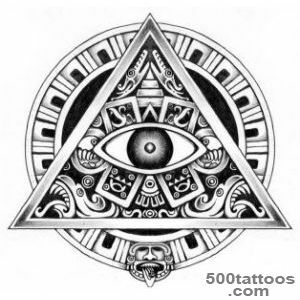 In most present image circle tattoo or round shape or a circle is inside one of the picture elements (eg , ornament is a circle ) .Of particular importance is a circle or oval - it is a symbol of the sun , also has a second meaning - the symbol of the cycle of life . 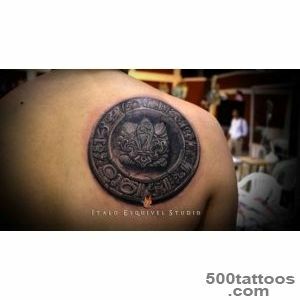 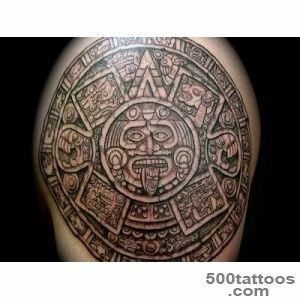 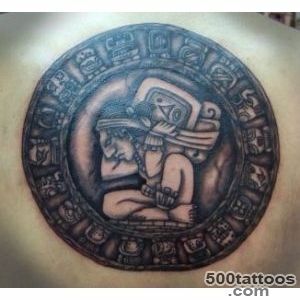 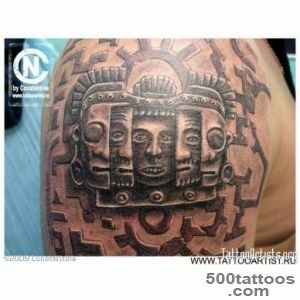 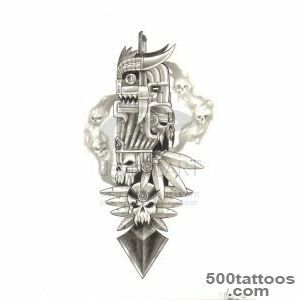 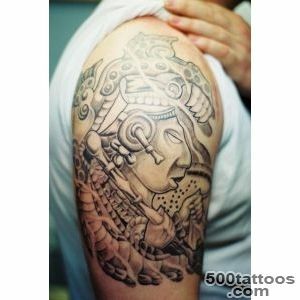 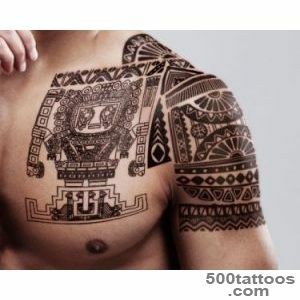 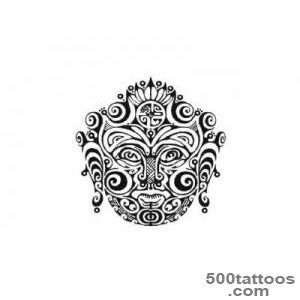 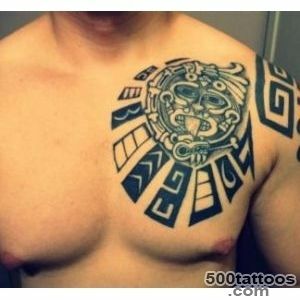 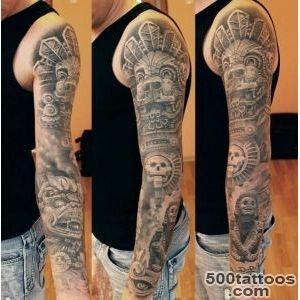 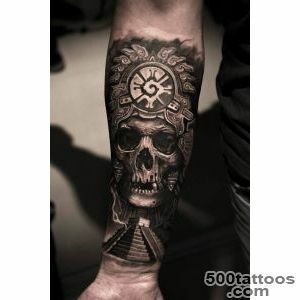 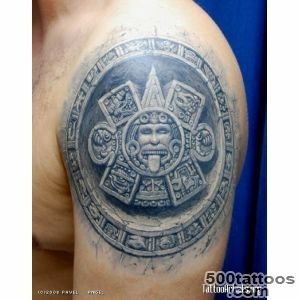 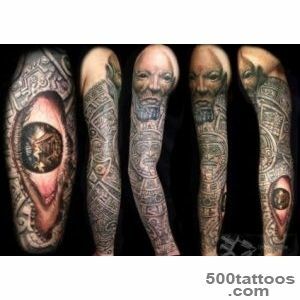 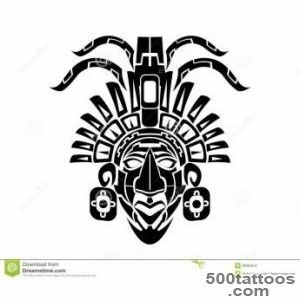 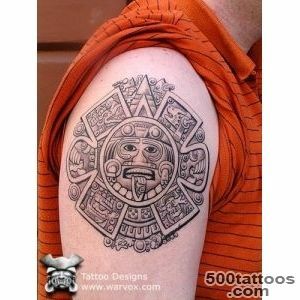 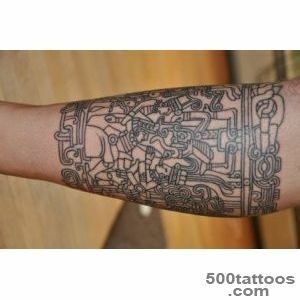 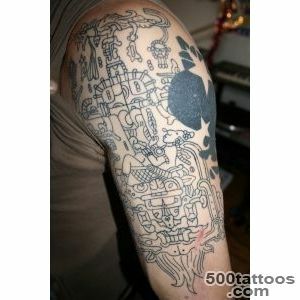 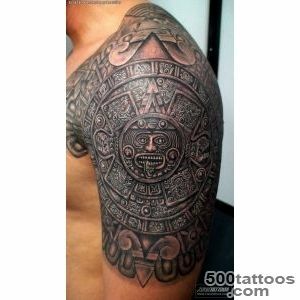 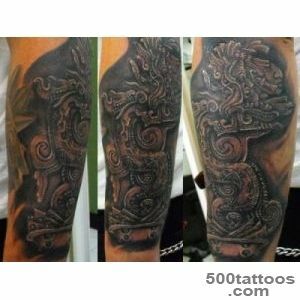 The advantage of tattoos Mayan- style - is the involvement of the ancient culture , the image looks stylish and show an interest in the human ethnics .